16 teams from Asia and Oceania will be vying for top honours. India is in Group A alongside Jordan, Syria, and three-time Asian champions Iran. The top three teams from this Group (as well as the other 3 Groups) will progress to the second round followed by the knockouts. The Indian men begin their campaign against Iran on 9th August at 1600 local time (1830 IST), followed by games against Jordan (11th August, 1830 local time/2100 IST) and Syria (13th August, 2100 local time/2330 IST). The seasoned Vishesh Bhriguvanshi is making a successful comeback from injury, and the Indian team will notably also include centre Satnam Singh, the first Indian to be drafted by the NBA. China is the defending champion, while Oceania teams Australia and New Zealand are new entrants in the Asia Cup. 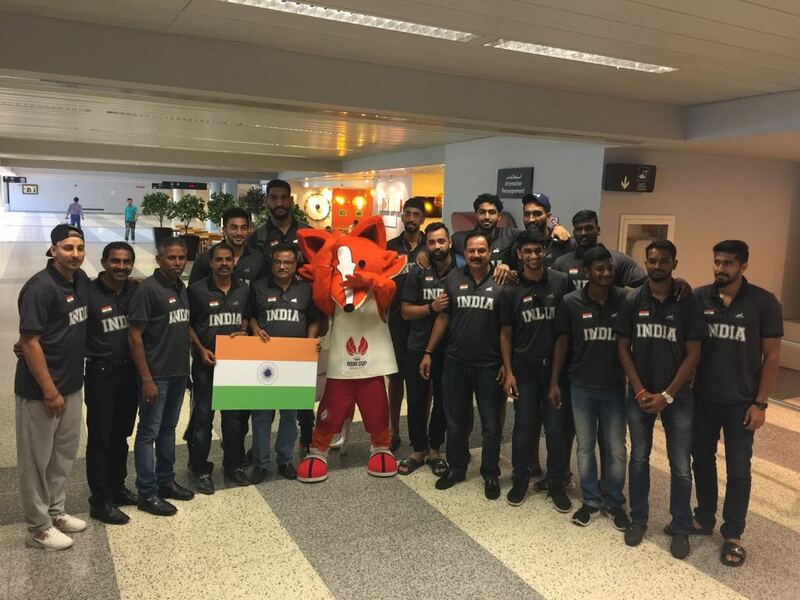 Bengaluru/Beirut, 6th August 2017: The Indian men’s basketball team is all set to participate in the FIBA Asia Cup 2017, which will be held from August 8th to 20th in Beirut, Lebanon. The Indian team will be captained by power forward Amjyot Singh Gill and will see the timely return of the seasoned Vishesh Bhriguvanshi, who has made a speedy recovery from an injury he sustained at the BRICS Games in June. He is joined by several star players: Amjyot Singh Gill and Amritpal Singh, who have consistently performed for India at the international level; and Satnam Singh, the first Indian to be drafted in the NBA, who is currently with the Texas Legends in the NBA G-League (previously D-League). The rest of the team comprises PF/Cs Rikin Pethani and Aravind Annadurai, guards Talwinderjit Singh, Anil Kumar Gowda, Rajvir Singh and Baladhaneshwar P, and forwards Prasanna Sivakumar and Muin Bek Hafeez. The team will be coached by Baskar Sappaniambalam, and Padipurakkal Joseph Sebastian. The NBA has assisted the National Team’s training by providing coaching and facility support throughout the training camps which have helped the National Team Coaches Baskar and Sebastian. China enters the tournament as defending champions, having won the FIBA Asia Championship 2015 on home soil; while the inclusion of Australia and New Zealand in the Asia Cup will only enhance the quality of opposition and level of competition. India’s fixtures in Group A promises to be anything but a walk in the park. Last year, Iran won the FIBA Asia Challenge 2016 in comprehensive fashion, while Jordan finished third. India faced both teams over the course of that Championship – Jordan in the group stages and Iran in the quarterfinals – and lost both games despite battling hard. Iran also finished third at the FIBA Asia Championship 2015, beating India in the group stages. The FIBA rankings place Iran and Jordan at 25th and 28th respectively. Nevertheless, since the top three from each group qualify for the second phase, India (rank 53) only has to put in a strong performance against Syria (rank 72) to secure progression. A surprise upset over either Jordan or Iran cannot be discounted, as the Indian team has gone from strength to strength in the last few years. The team put in a strong performance at the FIBA Asia Challenge 2016, advancing to the knockout stages and defeating Chinese Taipei to finish seventh in the tournament. India had also beaten China, the Philippines, and Kazakhstan in the group stages. Advancing from the second phase to the knockout stages is likely to pose a tougher challenge.